Let the interplanetary adventurers protect your collection with our impressive Guardians of the Galaxy figurine! 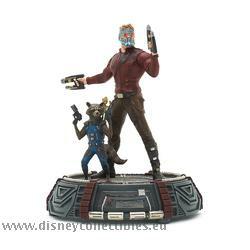 Limited to only 650 worldwide, it features detailed figures of Star-Lord, Rocket and Groot on a sculpted base. NO themes for this collectible.